To become a paramedic in Vermont, you need to be 18 years old, have completed a paramedic course, and have successfully passed the NREMT-P examinations. Once you have received your National Registry certification, you can then contact the Vermont Department of Health Emergency Medical Services Office and apply for state certification. Vermont is a very unique state, as they don’t actually offer students paramedic training. This is hopefully changing, as you can read about it in this article. 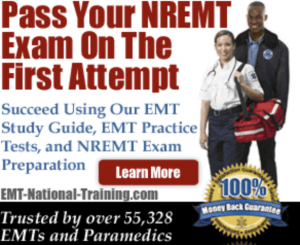 Here’s what you need to know about the NREMT exam (NREMT.org), which is both a computer adaptive test (cognitive examination) as well as a skills test (psychomotor examination). The cognitive examination will cover the entire spectrum of EMS care. This includes Airway, Ventilation, Oxygenation, Trauma, Cardiology, Medical, and EMS Operations. The maximum amount of time you will be given to pass this portion of the exam is 2 hours and 30 minutes. The psychomotor examination consists of 12 separate skills laid out in a scenario-type format to approximate the abilities of the EMT-Paramedic to function in the out-of-hospital setting. Those taking the test are actually allowed to bring their own equipment to the exam provided it is approved for testing by the National Registry Representative in attendance at the examination. The psychomotor exam portion of the paramedic NREMT exam will test your knowledge and competency in each of the following skills: Patient Assessment-Trauma, Ventilatory Management, Cardiac Management Skills, IV and Medication Skills, Oral Station, Pediatric Skills, and Random Basic Skills. How much money does a paramedic make annually? An average paramedic salary, according to the Bureau of Labor Statistics as of May 2011, is about $34,030 per year. Though in some areas of the country, like the District of Columbia, Oregon, and even Hawaii, a paramedic salary can range from anywhere from $44,000 to $49,000. Get more information about paramedic training online via our interactive table on our homepage.